I’ll just come right out and admit it. Until recently, I had no idea what a Chautauqua was. I thought it was probably an old Native American gathering place that is now memorialized with a park in Boulder and celebrated by Greeley in a yearly festival. I had no idea that it’s a nearly 150 year old national movement. 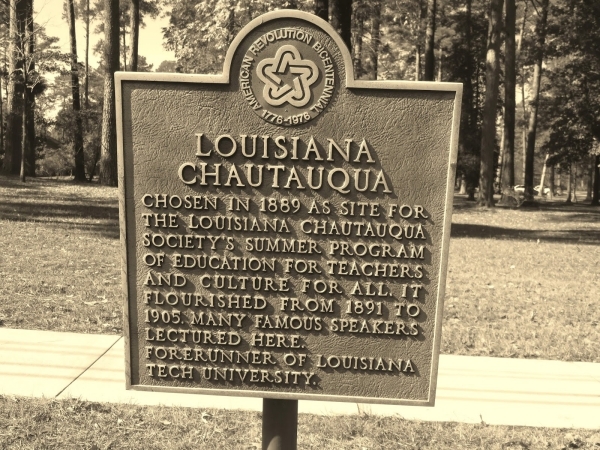 The Chautauqua Institute grew out of that training camp, and before long, Chautauqua Assemblies were being held throughout the country. The original institute was often referred to as the Mother Chautauqua and the offshoots were considered her daughters. Each offshoot was self-governed, which meant that the movement took on the flavor of whatever town or city it was located in. It didn’t take long before the programs grew from being training grounds for Sunday School teachers to evolving into centers for adult education and creativity. 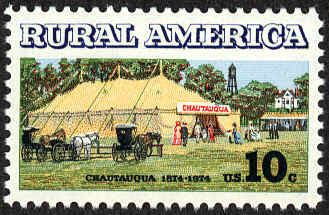 Chautauqua events were especially popular in rural areas where access to secondary education was limited. 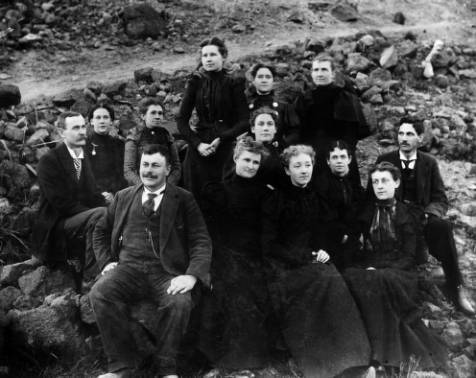 One of the first Chautauqua Assemblies to take place in Colorado was at Palmer Lake in Glen Park beginning in 1886. The Assembly was an annual summer event for at least two decades before the national movement slowed and interest here in Colorado slowed along with it. In keeping with the format of national assemblies, the schedule in Glen Park included, “lectures, debates, concerts, campfire gatherings and burro excursions up to the reservoirs.” (The burro excursions were a part of that “local flavor” I mentioned earlier.) Assemblies lasted for six weeks and many of the small cottages that were built to house the Chautauqua participants still remain in the Glen. 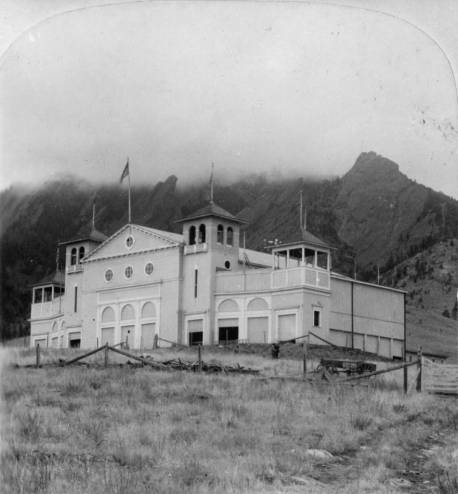 The Colorado Chautauqua in Boulder is one of only a few remaining Chautauqua centers in the United States that has been running continuously since the heyday of the movement in the late 1800s and early 1900s. Though a “Chautauqua” most often refers to an assembly of people, the term can also used to refer to the buildings related to these assemblies. Thus, the name “Colorado Chautauqua” refers not only to the association of people that use the facility, but also to the campus of buildings. In 2006, the Colorado Chautauqua was added to both the State and National Register of Historic Places. During the heyday of the Chautauqua movement, not every rural town had the speakers and talent to hold their own assembly, so programs were loaded onto trains with a set schedule of speakers and performances. Over time, hosting a Chautauqua (either by welcoming itinerant speakers or providing your own assembly) gained prestige and the movement was seen as a means of sharing cutting edge ideas, pushing the envelope of creative performance and education, and building community around intellectual and innovative pursuits. The movement has been credited with instigating summer schools, correspondence courses and university extension programs. Even the “Book of the Month” club is said to have sprung from Chautauquan roots. Chautauqua assemblies have seen a resurgence. Some have been formed in the past decade or so to bring people together in order to focus on issues of common concern. Others have used the term to refer specifically to presentations in which speakers take on the persona of a historic character, even to the point of answering questions from the audience while remaining in character. Some present day Chautauqua assemblies have kept the spirit of the movement while repackaging them for a contemporary audience. Both TED Talks and Chautauqua assemblies are a great way to be challenged and educated about topics you might know little about. But where TED Talks focus on information and ideas at a global level, Chautauqua assemblies are often home grown, targeting issues of local concern, and highlighting regional talent and creativity. 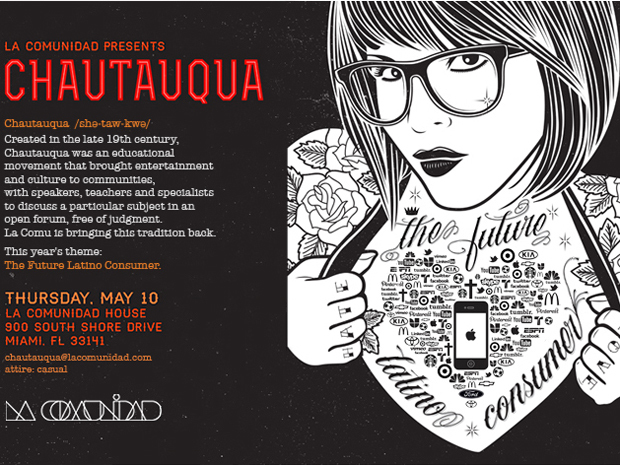 Given the growing penchant for local, artisanal, hand-crafted food and other items, it makes sense that this Chautauqua idea is making a comeback. Information on the origins of the Chautauqua movement came from Wikipedia. 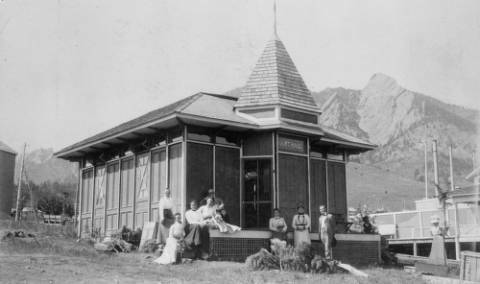 The promotional brochure quote and information about the Boulder Chautauqua came from The Colorado Chautauqua National Historic Landmark website. The date of the historic designation of the Colorado Chautaugua in Boulder came from the Colorado Chautauqua Wikipedia page. The quote on the activities at the assembly in Glen Park came from the Palmer Divide history website. Gail Ravits, in her article “John Heyl Vincent: Founder of the Chautauqua Movement” credited Chautauqua assemblies as being the foundation for summer schools, correspondence courses, etc.